2018 has been a banner year for Chinese IPOs thus far, with 23 Chinese companies going public on the U.S. stock markets in the first nine months. In the technology sector, Chinese innovators are outpacing American companies in the race to the opening bell. And there is a gathering herd of Chinese “unicorns” with multi-billion dollar valuations and strong backing from large private equity funds waiting for their turn to tap the public markets. 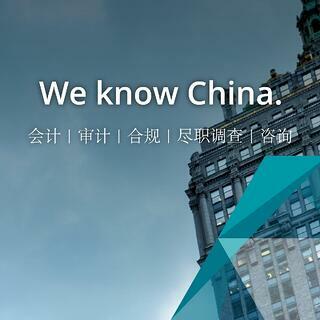 There are many reasons for the torrid love affair between Wall Street and China tech companies. China’s markets for mobile services has a user base that dwarfs the U.S., with over 700 million people now using mobile payment apps in China. In certain sectors, such as artificial intelligence and clean energy, China’s venture and government investment in new technologies has pulled ahead of the U.S. And many of the new generation of China tech names have innovative business models that deliver services in unique ways to meet the vast scale of China’s market. But while public market investors are beguiled by the growth and user numbers of China IPOs, they can be just as quick to abandon a stock when their confidence is shaken. Chinese tech stocks are more likely to become prey to short seller attacks, to fall short of international governance norms, and to suffer a precipitous collapse in market value. For a public company, the opening bell on listing day is just the start of a long marathon with many pitfalls and hurdles to overcome. In considering whether an IPO in the U.S. markets is the right next step, management and the board must take a longer view as to the fit with your company’s growth stage and maturity. Over decades of working with Chinese issuers, these are among the most important success factors I have observed that lead to lasting prosperity as a public company. Powerful Investment Thesis – Your company needs to have concise, powerful statement as to why your equity is a promising investment that stands out from hundreds of other potential “stories.” Investors will normally already be fairly familiar with what an American pre-IPO company does and how it makes money. But when it comes to China, fund managers are often starting at zero. This increases the burden on management to clearly explain the company’s business model and educate investors about the industry structure. This “Investment Thesis” should be supported by verifiable market data and reflect plans you are confident about achieving, not wispy aspirations. Simply pitching your company as the “(pick a successful U.S. stock) of China” is not going to cut it any more. Your investment thesis needs to be crisp enough that you can get your message across during an elevator ride. But it needs to be detailed enough so as to stand up to grilling by highly informed analysts who will be testing every premise and every number in your business plan. Complete Management Team – Before you begin meeting with investors, it is important that you have a complete management team that is capable of meeting the rigors of this corporate transformation. Often the team that got you to the point where your business has the scale to be an attractive IPO, is not sufficient to be viable as a public company. You will require a CFO who is experienced in US GAAP or IFRS accounting, understands SEC reporting requirements, and has prior capital markets experience. Your CFO needs to have the budget and the authority to hire a finance team capable of timely financial reporting and accurate financial forecasting and budgeting. You will need to develop an internal controls function that ensures the accuracy of how you record transactions and that assets are safeguarded. This type of talent is scarce in China, so you need to be prepared to pay what is required and treat this team with professional respect. Just as importantly, you need a Board of Directors with the qualifications to be credible and the independence to hold management accountable to high standards. Reliable, Timely Financials – Given that Chinese companies have a reputation for often having unreliable accounting and opaque disclosure practices, you will have an extra burden to demonstrate your company can report in a professional and timely manner. Late reporting, qualified audit opinions, or poorly disclosed transactions all erode investor confidence. In the short term, you may wish to use experienced consultants to train your team and ensure the quality of accounting work. But going forward you need to invest in building internal expertise and capacity under the leadership of an empowered CFO. You need to select an audit firm that is able to work with the team you have in place today and grow with your business. And at all costs avoid the situation of having your auditor resign and ending up as an “audit orphan,” as that very likely will lead to loss of your listing and decimation of your market value. Shareholder-First Philosophy – Going public means committing to the philosophy that the interests of all shareholders, and not just those of the founder or private equity backers, are paramount. This cultural transition to shareholder-focused decision making and mature governance is often the most difficult aspect for Chinese companies to navigate, but it is also the most critical to lasting success. Before going public, it is important to establish a process by which independent directors review all related-party transactions and material acquisitions. Certain customer or supplier relationships with affiliates may need to be restructured. And the company may choose to divest non-core businesses that could create apparent conflicts or distractions for management. The company should establish plans for succession planning, compensation, stock trading, and disclosure. This level of formality and oversight may seem very intrusive to Chinese entrepreneurs at first, but will lead to a more sustainable company. Attainable Business Milestones – Public companies become successful by laying out a road map to execute their business strategy with tangible milestones, both financial and non-financial, and then meeting or exceeding those promises. One of the most challenging aspects of becoming public, is that management is subjected to a withering spotlight in which the market assesses long-term value potential through the lens of short-term financial performance. Avoid the temptation to over-promise. Remember that investors take notes and have long memories. And find the right approach to providing “guidance” that suits the realities of your business. Management teams that tell investors what they plan to do, and then consistently hit those marks on or ahead of schedule will see rising share prices and premium valuations. Whether as independent auditors or accounting consultants, MarcumBP works as part of a team of sophisticated professionals who all seek to make an IPO successful, including the underwriters, company and underwriter’s legal counsel, valuation experts, financial printers and others. But over decades of experience, I have learned that only the management team will ultimately determine the success or failure of being a listed company. Lack of diligence and integrity can steer even the most promising business to becoming a stock market disaster. Whereas great management teams find ways to overcome all types of business challenges and temporary setbacks to secure the lasting confidence and loyalty of their shareholders. I have only scratched the surface of the elements of a successful IPO in this short introduction. To learn more please download our “Roadmap to Becoming a U.S. Public Company” e-book here.